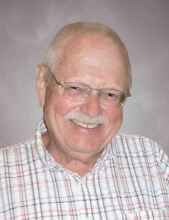 Charlie Vaselaar, age 76, of Houston, Texas, passed away on Thursday, January 24, 2019, at the North Cypress Medical Center in Cypress, Texas. There will be a funeral service on Saturday, February 2, at 11:00am, at the Oolman Funeral Home in Orange City. The Rev. Roger Voskuil will officiate. Interment will follow the service at the Nassau Township Cemetery near Alton. Visitation with the family will be on Saturday from 10:00am to 11:00am, at the funeral home. Charles Edward was born on January 13, 1943, in Adrian, Minnesota, the son of John Alex and Rona Amelia (Mellom) Vaselaar. After his mother’s passing, he was raised by his aunt, Jane Eberline, in Sheldon, Iowa. He graduated from South Dakota State University in Brookings and from the University of Iowa in Iowa City. On February 24, 1968 he married Donna Jean Foreman of Alton, Iowa. Charlie’s career in engineering and project management gave them the opportunity to travel and to live in many parts of the world. Always an adventurer, Charlie valued the education and self-sufficiency that travel imparts and instilled the same spirit in his children. When at home, he was always appreciative of a home-cooked meal and enjoyed diving into do-it-yourself projects including restoring his 1966 Austin Healey and his father’s 1949 Ford 8N tractor. His advice, sense of humor, problem solving skills, experience and enduring patience will be deeply missed. Survivors include his wife of more than fifty years; his two children, Kirsten Vaselaar of Denver, Colorado and Andy Vaselaar of Houston, Texas; his sister-in-law, Shirley Vaselaar, of Adrian; and Donna’s siblings and their spouses, Rex and Eileen Foreman of Alton; Rick and Lorie Foreman of Orange City; Jane and Randy Brown of Waller, Texas; and Harold and Brenda Foreman, of Kansas City, Missouri. In addition to his parents, he was preceded in death by his brother, John Allen Vaselaar; and Donna’s brother and his wife, Robert and Elizabeth Foreman. In lieu of flowers memorials may be directed to Hope Haven in Rock Valley, Iowa, or Cal Farley’s Boys Ranch in Amarillo, Texas. To send flowers or a remembrance gift to the family of Charles E. Vaselaar, please visit our Tribute Store. "Email Address" would like to share the life celebration of Charles E. Vaselaar. Click on the "link" to go to share a favorite memory or leave a condolence message for the family.